Hope you’re sitting down because this is some serious news (and because who reads the Internet standing up?). 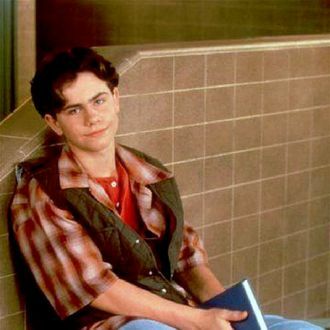 It appears Shawn Hunter (Rider Strong) will not be joining the Boy Meets World sequel, Girl Meets World. Toward the end of a long note on his website, Strong wrote: “At this point, I have no official involvement in Girl Meets World. There might be a chance to see some of the BMW cast in a guest spot, and I think it would be nice to find out where our characters have been all these years. But Girl Meets World will be, and I think it should be, its own show. It will be about Cory and Topanga, their daughter, and a new set of characters.” Are guest spots enough? Ultimately, Shawn, and Eric for that matter, don’t need full story arcs, but it would feel like such a different universe without them entirely. That being said, Feeny needs to be there every episode, no matter what. Shawn Won’t Be a Part of Boy Meets World Sequel?